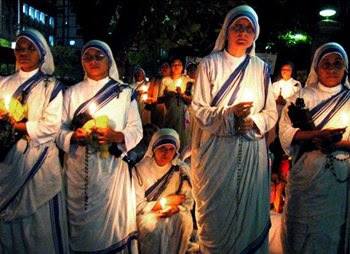 Missionaries of Charity nuns are keeping prayer vigil for peace in violence-torn Orissa state. A convent of their congregation was destroyed in the arson. A Carmelite priest is massacred in Andhra Pradeshby Nirmala Carvalho. 38 year old Fr. Thomas Pandippallyil, was assassinate don the night of August 16th on his way to a village to celebrate Sunday mass. His body showed signs of torture, with wounds to his face, his hands and legs broken and his eyes pulled from their sockets. The bishop of Hyderabad denounces the growing climate of "violence against Catholics" in the country. New Delhi (AsiaNews) – "Father Thomas is a martyr: he sacrificed his life for the poor and marginalised. But he did not die in vain, because his body and his blood enrich the Church in India, particularly the Church in Andhra Pradesh". Those are the words of Msgr. 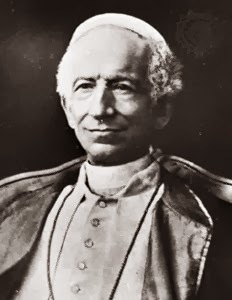 Marampudi Joji, archbishop of Hyderabad and secretary of the bishops' conference of Andhra Pradesh (a state in South East India), commenting the barbarous killing of the Carmelite priest Thomas Pandippallyil, 38, assassinated on the night of August 16th in Mosalikunta, on the road between Lingampet and Yellareddy, 90 km from the regional capital. On the night of August 16th his body was found on the roadside by a group of people, not far from the village of Balampilly; the body of the Carmelite of Mary Immaculate carried wounds to the face while the hands and legs had been crushed and the eyes gouged out. His motorbike was found one kilometre on from the body. According to witnesses, Saturday afternoon Fr. Thomas celebrated mass in Burgida, before setting out for another village in the district where he was to have celebrated Sunday mass. The last people to have seen him alive were religious sisters from Lingapetta convent, where the priest had stopped for supper before continuing his journey. "P. Thomas is a martyr – said Msgr. Marampudi, archbishop of Hyderabad, on hearing of the brutal murder. The Indian Church is shocked and deeply saddened by this barbarous killing, the result of a growing climate of intolerance and violence against Christians in this country". The prelate immediately made his way to the area where the massacre took place and speaks of a "traumatized" Christian community. He forcefully denies accusations of "proselytism and forced conversions". Given that there are "five families of Catholic faith" in the parish where Fr. Thomas was murdered. Msgr. Marampudi Joji maintains the crime is the result of a climate of "jealousy of the Catholic Church", whose only fault is that of trying to help develop the abandoned rural areas of the country and support and aid those who are "victims of violence and oppression". "Priests and nuns – continues the archbishop of Hyderabad – have for decades been at the service of the least fortunate in India, and this makes them targets of forces of evil who do not want the marginalized and impoverished to become empowered". The remains of Fr. Thomas Pandippallyil will be laid to rest on Wednesday in the Carmelite provincial house in Balampilly: the priest was actively involved in educational field. He joined the Chanda mission of the CMI on 24th June 1987. He was ordained a priest in 2002. He was the rector for the Chanda mission province of the CMI, and also worked as hospital administrator, school manager and mission centre director. It all began around 13.00 hrs" he recalled. 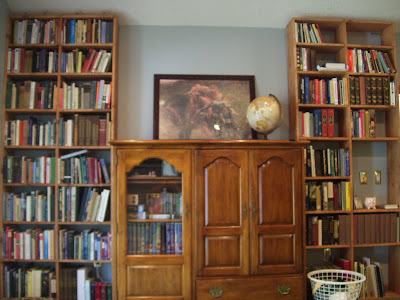 "I was having lunch at my single room presbytery that doubles as office, bedroom and store room. The doors were closed. I heard some one calling out, 'Father, Father.' Thinking that some one was there with some patients needing to be taken to hospital I opened the door and came out. There was a crowd of about 20 people crowding before my room. 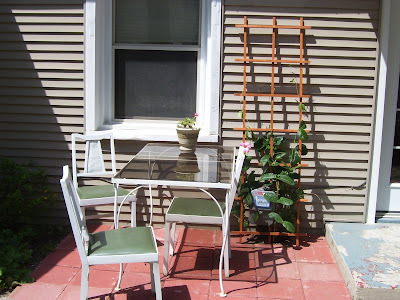 They suddenly pulled out from behind their backs, iron rods, lathies, and wooden pieces. They started thrashing me. They wanted to me to shout 'Yesu Christu Murdabad' (Death to Jesus Christ) 'Bajrang Bali Ki Jai' (Long Live Bajrang Bali). They continued thrashing me and then pushed me back into the room, poured diesel on the floor, some fell on by clothes and set the place on fire and bolted the room from outside. I slipped on the diesel soaked floor, some how managed to reach the bath room where providentially there were two buckets of water - we do not have running water - and poured it all across the room. Without making much noise I bolted from inside all the doors and windows under cover of billowing smoke." In reference to the tragic news coming from India concerning violence against the faithful and the institutions of the Catholic church, the Holy See, while expressing solidarity with the local churches and religious congregations involved, condemns these acts that injure the dignity and liberty of persons and compromise peaceful civil co-existence. At the same time, it appeals to all parties so that, with a sense of responsibility, all oppression may be ended and a climate of dialogue and mutual respect may be restored. Please keep the Catholics of India in your prayers. You can check this blog, Orissa Burning, which has a thorough list of the atrocities being committed. 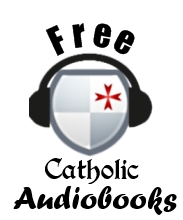 Have you ever been listening to Catholic Answers or a similar sort of show and when the topic of the abuses after Vatican II comes up, the host attempts to smooth over the problems of dissent and abuse by putting the Council in some kind of quasi-historical context with the statement, "Yes, but you must remember, there is always this type of confusion after an Ecumenical Council. It is quite normal." I myself used to use this line a lot, but I will not attempt to explain away the abuses consequent to Vatican II using this line anymore, because it is simply false. Well, no, it is not completely false, but it is misleading, because there is more than one type of confusion. Yes, many Councils have been followed by periods of confusion and dissent, but the confusion and dissent after Vatican II is substantially different from that which followed the other Councils. I have been doing a lot of study of the Council of Trent and the period of the Catholic Reformation, both prior to and after Trent and have come to the realization that V2 is unique. Taking Trent as our example (but applying this to any other council pre-V2 council, like Lateran IV or Florence-Ferrara), we see that prior to the Council, morals and discipline were lax. 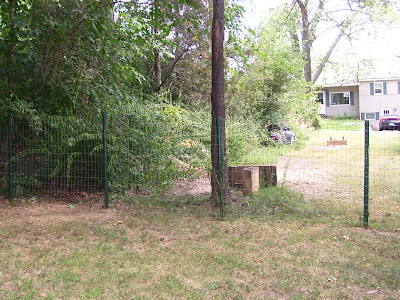 The Council cracked down on these deviations and tightened up discipline. 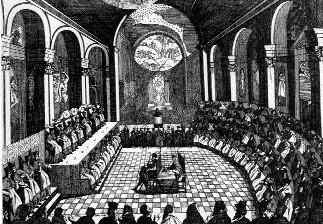 Several reform movements popped up, and monasteries and convents after the Council of Trent were much more faithful to their Rules and to tradition than they had been previously. Thus, the Council was an agent for reform, which meant tightening up discipline and returning to the strictness of the Rule. Now, if we contrast this with Vatican II, we see that before Vatican II (though not so much leading up to it), discipline was tight. The Council attempted to reform the Church by loosening discipline, and thus deviating from what the Church had always done. The Council was an agent of laxity. Let me ask you this one question: when in the history of the Church had anything ever been reformed by a loosening of discipline? Perhaps when they went to private confession, but that wasn't really a reform as much as a simple pragmatic decision (ie., not meant to redress any abuses, as far as I know). But when have laxity, corruption, infidelity to the rules and canons of the Church ever been redressed by loosening our standards? Never, until Vatican II. People can't keep the Eucharistic fast? Then shorten it. People get more divorces? Then give more annulments. When the Council was called, most bishops wondered why, since everything seemed okay in the Church. 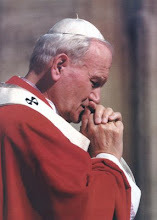 The trend of lowering the bar (and eventually of legalizing abuses) was started at Vatican II and has continued throughout the JPII years, so much so that people now act as if it is tyrannical for the Pope to attempt to exert any discipline at all! And by the way, was there even any real abuses to address before Vatican II? Perhaps creeping modernism, the one thing ignored by the Council. If discipline was too tight before the Council, then are we condemning the praxis of the Church that brought us every saint from Charles Borromeo to Padre Pio? If we assert it was too tight, then we mock the saints. On the other hand, if discipline was too loose before the Council, then how would loosening it make anything better? The onyl solution is to admit that discipline was fine and most people were happy with it, but the Church had to go screwing with it anyway. Previous Councils addressed abuses by tightening discipline; Vatican II produced abuses by loosening it. Confusion after previous Councils was the result of dissenters acting against the authority of the Council for the purpose maintaining condemned propositions, while todays confusion stems from the supporters of the Council attempting to implement it, and the greatest dissenters are those who love the Council the most. Who ever heard of dissent and abuse being caused by trying to implement a Council? The Arians disagreed violently with the rulings of Nicea, but it was their striving against the Church and the Council that caused the ecclesiastical upheavals of the 4th century; it sure wasn't St. Athanasius and St. Gregory of Nyssa doing it! There was must resistance to the Catholic Reformation when St. Teresa of Avila tried to restore order to the Carmelites, but the rage and dissent came from the lax and was directed against the reform. Can you imagine St. Teresa attempting to implement Trent by loosening discipline and allowing all sorts of abuses and experimentations in the name of Trent? Of course not! That would be mad! Yet that is what we have today. 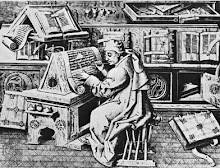 I suppose some might whine about "extreme Traditionalists" causing dissent from the Church, but I must point out two things (1) the "dissent" and confusion caused by trads is infintesimal compared to that brought on by NO related abuses, and (2) when extreme trads do dissent, they at least have the courtesy to go into schism! Seriously! At least Lucian Pulvermacher (Pius XIII) realizes he is out of communion with Rome and admits it, unlike persons like Nancy Pelosi or Fr. Raymond Brown. So, while we do have confusion after all Councils, we must realize that the nature of the confusion and dissent we see today is much different than that which we experienced in previous centuries. Why does it matter? Because if the confusion is of a different order, then the tactic of just waiting for a few decades until things "settle themselves out" will not work. The problem is internal to the Church itself, not external, like the Arians or the Nestorians. We have to actively promote true reform, which is a tightening of discipline, before things will be solved, and it must start with us. And solved these problems must be, for it is vain to think that time will magically make things smooth themselves out. Bishop Arthur J. Serratelli of Paterson, N.J., chairman of the U.S. Bishops' Committee on Divine Worship, announced the new Vatican "directives on the use of 'the name of God' in the sacred liturgy" in an Aug. 8 letter to his fellow bishops. The Vatican has ruled that the word "Yahweh" must not "be used or pronounced" in songs and prayers during Catholic Masses. Bishop Serratelli noted, "We welcome this guidance on the use of the particular terminology for the Divine Name, as it helps to emphasize the theological accuracy of our language and appropriate reverence for the Name of God so consistent in our tradition." He said that the decision would not effect the current Missal translation project but would likely have "some impact on the use of particular pieces of liturgical music in our country as well as in the composition of variable texts such as the General Intercessions for the celebration of the Mass and the other sacraments." John Limb, publisher of OCP in Portland, Oregon, said the company would be contacting composers to "ask them to try to come up with alternate language" for their hymns. But he said hymnals for 2009 had already been printed, so the affected hymns would not include the new wording for at least another year. At Chicago-based GIA Publications, another major Catholic publisher of hymnals, no major revisions will be necessary, because of the company's longtime editorial policy against use of the word "Yahweh." Kelly Dobbs-Mickus, senior editor at GIA Publications, told CNS Aug. 11 that the policy, which dates to 1986, was based not on Vatican directives but on sensitivity to concerns among observant Jews about pronouncing the name of God. As an example, she cited Heinrich Schutz's "Thanks Be to Yahweh," which appears in a GIA hymnal under the title "Thanks Be to God." Bishop Serratelli said the Vatican decision also would provide "an opportunity to offer catechesis for the faithful as an encouragement to show reverence for the name of God in daily life, emphasizing the power of language as an act of devotion and worship." "By directive of the Holy Father, in accord with the Congregation for the Doctrine of the Faith, this congregation ... deems it convenient to communicate to the bishops' conferences ... as regards the translation and the pronunciation, in a liturgical setting, of the divine name signified in the sacred Tetragrammaton," said the letter signed by Cardinal Francis Arinze and Archbishop Malcolm Ranjith, congregation prefect and secretary, respectively. The Tetragrammaton is YHWH, the four consonants of the ancient Hebrew name for God. "As an expression of the infinite greatness and majesty of God, it was held to be unpronounceable and hence was replaced during the reading of sacred Scripture by means of the use of an alternate name: 'Adonai,' which means 'Lord,'" the Vatican letter said. Similarly, Greek translations of the Bible used the word "Kyrios" and Latin scholars translated it to "Dominus"; both also mean Lord. "Avoiding pronouncing the Tetragrammaton of the name of God on the part of the church has therefore its own grounds," the letter said. "Apart from a motive of a purely philological order, there is also that of remaining faithful to the church's tradition, from the beginning, that the sacred Tetragrammaton was never pronounced in the Christian context nor translated into any of the languages into which the Bible was translated." The two Vatican officials noted that "Liturgiam Authenticam," the Congregation's 2001 document on liturgical translations, stated that "the name of almighty God expressed by the Hebrew Tetragrammaton and rendered in Latin by the word 'Dominus,' is to be rendered into any given vernacular by a word equivalent in meaning." "Notwithstanding such a clear norm, in recent years the practice has crept in of pronouncing the God of Israel's proper name," the letter said. "The practice of vocalizing it is met with both in the reading of biblical texts taken from the Lectionary as well as in prayers and hymns, and it occurs in diverse written and spoken forms," including Yahweh, Jahweh and Yehovah. Sources: Letter from Bishop Serratelli dated August 8; a letter from Francis Cardinal Arinze, dated June 29; and a CNS report. I never gave this matter much thought before, but I did feel kind of awkward when songs would come up which had the word "Yahweh" in them, and it bothered me in liturgical readings when I knew that the Latin or even the original Greek said, "Thus says the LORD," and the lector said, "Thus says Yahweh." It always kind of bugged me, but I never knew why. Of course, we ought to have reverence for the name of God, and I think the Vatican is right on with this: first, because we ought not to so flippantly attempt to pronounce a name that the Jews of old dared not even write, and second, because we do not even know if that is how it was pronounced. The Tetrgrammaton YHWH has no vowels, and our pronounciation of "Yahweh" is just and educated guess. We don't want to be guessing if we are saying God's name, kind of like Homer Simpson praying to "Jebus." I like how the lady from GIA says that they already had a policy of not using Yahweh, but is very quick to point out that it is not because of "Vatican directives" but because of concerns about sensitivity to observant Jews. Well isn't that nice! I wonder how that lady feels about praying for the "perfidious Jews" in the old liturgy? Overall I am very glad about this directive. Catholics are way too casual with God's name and we don't need to be saying "Yahweh" in our liturgies, especially in the context of the sappy songs it usually shows up in. A few months back I read a great book entitled Caste War of the Yucatan by an author named Nelson Reed. It was about the history of Mexico's Yucatan Peninsula from the 1830's right up into the 1950's, centered on a bizarre Indian cult called the Cruzob who mingled their Christianity with Maya paganism and took power in southeast Yucatan from around 1850-1900, killing whites and taking them as slaves. He has an interesting chapter about religion in the Yucatan. The book was written back in the 1950's, but I imagine that a lot of the practices he describes remain, since modern ideas tend to penetrate these remote areas very slowly. 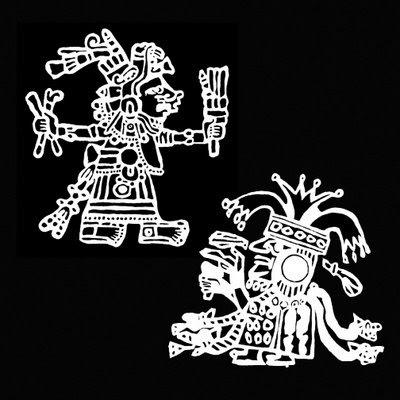 In the following excerpts on religion in the Yucatan, the words Mazehual and Mazehualob refer to the Maya peoples of the region. For the Mazehual of the Yucatan, the silent forest was not empty; it was alive with spirits, the owners and protectors of the wild places. Before clearing his cornfield, the Mazehual would call out to them, asking permission to use their property; after stating how much land he would need and offering payment in the form of specially prepared corn gruel, he would seal the bargain by erecting a small cross-because, after all, he was a Christian. ...In a cyclical view of life, the seasons and years progress in an orderly pattern., and the past is the key to the future. Most of the Mazehualob had neither the time nor the intelligence to acquire the learning necessary for prediction, and so they consulted an H-men (literally, "he who knows"). The H-Men could find lost articles, cure sickness with herbs and prayers, and read the future by looking into his sacred stones or by counting grains of corn, but his first responsibility and preoccupation was to assist in assuring a successful harvest. The Mazehual of Yucatan prayed much as all Catholics pray; he counted the beads of his rosary, said the Hail Mary and the Our Father, knew the Apostles' Creed and the hymns. He was led in worship by the Maestro Cantor, a native layman who had memorized by rote a stock of necessary prayers in Spanish and Latin and was able to chant them for over an hour without repetition-and often without understanding...The Mazehual was like all other Christians except that when his prayers failed, when in spite of the promised novena crops continued poor or sickness persisted, he could seek help from his H-men and the gods and spirits of the forest. He would pray first to his saint, then to the Balamob [guardian spirit of the village]. He knew that the priests disapproved of these other rites, and that the white men sneered at them, and so he celebrated them secretly, out of sight somewhere in the woods. Naturally enough, he despised the white man as an incomplete Christian. This book was written in the 1950's and it described a perennial practice of the Indians of the region, so we can't really blame this one on intrreligious dialogue and Vatican II (if these people ever heard of Vatican II). It underscores a fundamental reality that the Church as a whole needs to deal with: for a variety of reasons historical and cultural, the evangelization of Latin America is very shallow and incomplete in a great majority of the rural areas (and I would argue, in many of the cities as well). We need to keep this in mind when people flippantly disregard the de-Christianization of Europe and say, "Well, Latin America is the future of the Church." If it is, then it is grim. Not to say that if we would have surveyed the Christians of northern Denmark around the year 1100 we would not have foundf a great many remnants of Viking paganism. That is to be sure. The difference is that in the old days, we understood that such things were remnants of paganism and tried to educate the people and get them to stop doing them, and eventually those things died out in most places. Do the current generation of missionaries working among such people actually tell them to stop consulting their H-men and praying to rain gods? I seriously doubt it. In fact, knowing how missions work now, the missionaries probably join the Mazehualob in their rain-ceremony and tell them that it is a valid path to heaven. Brisbane Archbishop John Bathersby is considering whether the controversial St Mary's parish at South Brisbane "is in communion with the Catholic Church" after a parishioner protested to the Vatican over a Buddha-like statue. 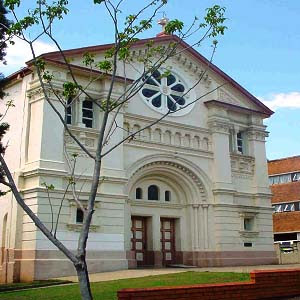 A member of St Mary's South Brisbane Church told The Courier-Mail that it was understood Archbishop John Bathersby was weighing up the future of the church, after complaints were forwarded from the Vatican [is the Archbishop anrgy about the complaints, or about the people complaining? It is a little unclear]. "A very right wing parishioner came and was offended by some of the artwork in the church [is it really necessary to identify the parishioner as "very right wing," as if only right-wing Catholics are upset about possible idolatry? I guess this incriminates "left-wing" Catholics implicitly by suggesting that they are not offended by idolatrous images], including some indigenous art, and an image of a praying monk which they mistook as a Buddha," the parishioner said. "That person took photos and sent them to Rome and Rome wrote to the bishop" [Here is the problem: perhaps this image was of a praying monk, and perhaps it was really the Buddha. There is no way to tell, because modernist Catholic portrayals of saints and characters of the Faith are made to look culturally ambiguous, so that you are not sure whether you are looking at an image of Christ or of the Aztec war-god Huitzilipotchli. I'm not saying all images have to look like baroque era portrayals of Christ and the Virgin, but they should at least be recognizable enough so as they are not mistaken for Buddha!] . However, the statue - which was about 1 metre tall - had since been taken out of the church by a disgruntled person and smashed [Good. This is how pagan idols should be treated. If you don't believe me, read the Bible. Even if it was a praying "monk," it was ambiguous enough to where it's destruction seems merited]. Parish priest Fr Peter Kennedy, who has headed St Mary's for nearly 28 years, said he was unable to comment until he had heard further from Archbishop Bathersby. In a written statement, Archbishop Bathersby confirmed he had received communiques from the Vatican about St Mary's and that they included complaints about an alleged Buddhist statue in the church's sanctuary and unorthodox masses being conducted. He said that since speaking with Fr Kennedy, he had received many letters from parishioners concerned that the church might be closed. He had responded by saying "the key question is whether St Mary's is in communion with the Roman Catholic Church or not." This was something he had previously raised with the church's community and "nothing has really changed since then" [I wonder what the Archbishop means by this. 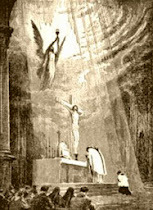 Does grave liturgical abuse put one out of communion with Rome? It would seem so, since for decades traditionalist groups who were less than enthusiastic about implementing the destructive commands of their often liberal Ordinaries were branded as schismatics. I would like to hear more canonically on what actually puts this parish out of communion with Rome-it could be an important precedent]. In 2004, claims that incorrect language was being used during baptism were upheld and hundreds of baptisms conducted at St Mary's were ruled invalid by Archbishop Bathersby. As a parent of several children, I have to do a lot of disciplining (though not as much as my wife, who stays home with them all day long). If it has been a rough day or the kids are extraordinarily naughty, sometimes I get lazy with my discipline. It often happens that I hear the kids screaming and fighting in the back room, and I run in to take care of the problem. I am confornted with a cacaphony of blame. "I had it first...she started it...no, she started it...I was doing this, then she took it from me...no, you took it from me..." After a few moments, I will get exasperated listening to this din and just yell out something akin to, "I don't care who started it, I'm going to finish it!" Then I just ground them both or get them both equally in trouble. I think many parents take this approach to ending disputes. I know my parents did with me, particularly my dad. The thing I noticed upon reflecting on this "I don't care who started it" approach is that it totally misses the point of discipline and actually undermines the virtue of justice. A just motive for punishment is to redress the wrong. This implies that the wrong party has to be identified. When I get angry and need to discipline, it ought to be the wrong done that provokes me to anger and merits the discipline. Now, when I say "I don't care who started it, I'm going to finish it," I say that I no longer care about the wrong committed. I am more concerned with being annoyed by the inconvenience or distraction subsequent to the wrong. In the above example, it was not the wrong done, but the noise of my kids fighting that irritated me and caused me to discipline them. My children sense this injustice when they try to plead their case, the "she did this/I had it first" routine. They are appealing to justice. What I ought to have done is listen and to the best of my ability determine who was actually in the wrong in this case and punish only the offender. And they ought to be punished because they truly did wrong, not because their whining annoyed me. If I do otherwise, I am kind of saying, "Look kids, I don't care about your petty squabbles. I'm just sick of your whining, so shut up, or I'm going to punish you all." This is neither just, nor charitable, nor true discipline. Yet is this not the mentality behind the modern interreligious dialogue movement? This is the "Can't we all just get along" approach. We are just all so sick of religious quarreling over all these centuries that we need to come together. It doesn't matter who started it. It doesn't matter who has legitimate grievances. It doesn't matter who is in the right and who is in the wrong. It doesn't matter if Turks, within the living memory of some, massacred one million Armenians. It doesn't matter that Constantinople belongs to the Greeks. It doesn't matter that almost all terrorist attacks carried out in the world today are done by Muslim extremists. All that matters is that the fighting stop and that we come together. If we don't, "religion" will be discredited in the eyes of the world. Do you see the connection here? If we can see it is so dumb in the case of parental discipline, why not apply the same reasoning to this problem, when instead of two siblings we have two religions? First of all, it always matters who did what. We could rightly say that Jews and Nazis had "grievances" against each other. But is manifestly obvious that one sides grievances were monumentally more important than those of the other side, and that the Germans were clearly in the wrong. Can you imagine, after the Holocaust, telling Jews to sit down with members of the NSDAP and telling them, "Look, I don't care who started this argument. Just come to an agreement so we can have peace." Temporal peace is not an ultimate good (which is the error upheld by those who still defend the Assisi prayer gatherings). Furthermore, I really do not care if "religion" as such is discredited. I don't. In fact, I hope other religions are discredited by their violence or vileness. 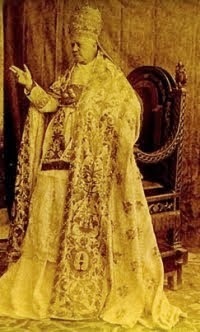 I only care about the Catholic Church. This idea of "religious" people having to come together to make an alliance against secularism is silly. The Church stands completely and utterly alone against all enemies and does not need to make allies against lesser foes to beat greater ones. This is actually explicitly condemned in the Scriptures (see here). People who see all religions as having a mandate to put differences aside and just get along are really saying they are offended by the search for truth. When a Muslim and a Christian get in an argument, even if it is an argument that leads to the sword, they are in a sense arguing about the truth. It is a pity that there is violence, and we know that most violence is suffered by us (not perpetrated by us), but at least the point in dispute is worth fighting about. This is the message in GK Chesterton's book The Ball and the Cross: people say it is not worth it to argue over religion; on the contrary, religion is the only thing really worth arguing about. Persons who say otherwise are not so much upset by the positions of either side, or the deeds done in what god's name, but by the simple fact of the disputation, like me getting more upset by my kids' noise than by their naughtiness. Justice and charity and Catholic discipline demand that in our contacts with other religions, we actually place our value in the right place: on the truth of the Person we are preaching about, and not just in the fact that we are talking. There is a time for talk, but there is a time to keep silent. Let's make sure our innate human desire for peaceful lives does not trump our spiritual duty to preach the truth fearlessly to all men, even if it means they will hate and kill us. Well, I thought I'd heard every single explanation possible for strange liturgical deviations and continued disobedience to the rubrics of the Novus Ordo Mass, but that was until I attened a Mass as a visitor at a parish about fifteen miles south of my hometown this weekend. Everything about the Mass was pretty normal by NO standards. Songs were from the green Gather hymnal, a bunch of EMHC's up at the altar prior to the fraction rite, holding hands at the Our Father. You get the picture. But, after Mass, the priest decided he needed to give a little refresher in liturgical rubrics to the people. He got up and started talking about how the Mass was supposed to be oriented towards God and that the worship of God was the ultimate end of the Mass. I thought, "Okay, this is sounding good. Is he going to announce ad orientam Masses?" He then went on to say that, because of this reason, he had installed a giant eye-ball on the rear wall of the sanctuary (where the traditional rose window would be). This big eye (he said) represented the eye of God the Father looking down on the Mass. It was a bizarre looking thing: a big golden triangle with a blue glass ball inside, kind of like a surveillance camera you see at Wal-Mart or something. It actually looked a lot like the creepy pyramid-eye of the Freemasons. It was probably about a foot long and a half of foot wide. He claimed it was the symbol of some religious order, but I went to that order's website and couldn't find any such symbol. He then added that the rubrics precsribed him to "look up" at many times during the Mass and now he had something to look at. Some people laughed at this: I don't know if he was joking or not. 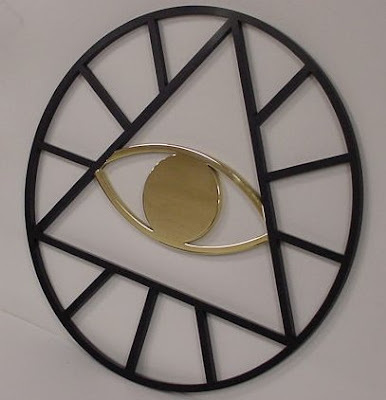 So, I guess if you are a priest and want to say your liturgy is oriented towards God, just install a big, creepy eye-ball on the rear wall of your sanctuary so that you can stare at it during the Mass. Sorry I haven't posted ina few days: the Assumption threw me off, but I'll be back next week. Pax. Since this Friday is the Assumption, I thought I'd deal with a Mariological question today while it is on my mind. 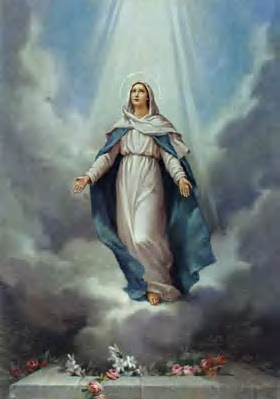 Quote: "Mr. Conte also speculates that the Virgin Mary was not simply Assumed into heaven, but actually died and then was Resurrected and was then taken into heaven alive." That is more or less what I believe. Our lady being the first Christian was the first to share in the Resurection to which we are all called. 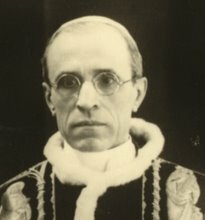 Keep in mind that Pius XII was purposely short on details when he defined the assumption e.g. did Mary die or just go into a deep sleep? We are free to speculate but most theologians believe she likely died. A) Mary died a real natural death, and then her body was assumed into heaven after death. B) Mary did not die, but was assumed bodily into heaven while still alive. 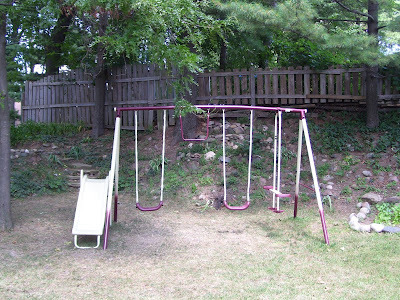 To my knowledge, these were the only options ever discussed by the Fathers and Doctors. I may be wrong on this, but I think this is our only two options. Pius XII does not commit us to either, but Ott's Fundamentals says that position A (that Mary actually died) is more widely accepted. C) Mary dies, then is Resurrected back to earthly life, then is taken up bodily into heaven while alive in a Resurrected body. Has anybody every heard any Father, Saint or theologian express this opinion? I have not. Just because the details are not specified doesn't mean we are free to come up with all sorts of outlandish scenarios that are not found in Tradition. I have two main problems with the idea of a Resurrection of Mary. One, it makes the Assumption into two separate miracles: a Resurrection (in itself very miraculous), followed by a bodily Assumption. Catholics are of course committed to belief in a bodily Assumption, but I in no way see how this necessitates belief in a resurrection, any more than Elijah or Enoch needed a resurrection in order to be assumed. You may say, "Yes, but they did not die. 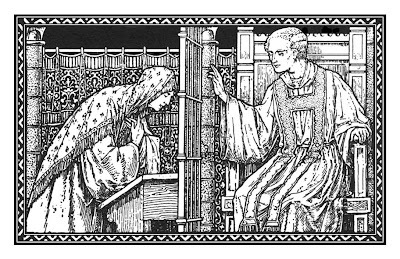 They were Assumed alive, and it is possible that Mary died prior to her Assumption. Wouldn't she then need to be Resurrected?" No. A body is still a body, even if it is dead. Can't a dead body be Assumed? 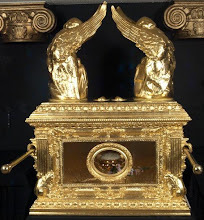 This seems to be the idea in the oldest Assumption story: the one about the twelve apostles wanting to gaze upon Mary's body one last time and opening the tomb to find her gone. Though it is not spelled out, the "assumption" in this story is that the dead body of Mary was taken into heaven straight from the tomb. She didn't rise from the tomb because in the story the Apostles have to open it up themselves (unlike the tomb of Christ, which was burst open). Second point: yes, Mary was the first to participate in the Resurrection that we are all called to share. But that doesn't mean she therefore had a literal bodily Resurrection, anymore than anybody else who shares in the Resurrection of Christ has a bodily Resurrection prior to the Resurrection at the end of time. I mean, you could always make the case that Mary was a special circumstance, but even so, I don't see any logical or historical evidence that this was the case. I don't think Mr. Conte or the blogger who left this comment are heretics for this belief. I just think it is a bit peculiar and not warranted by traditional Mariology. Any comments? The only thing I might object to about these videos is presenting NFP as if it were the only alternative to contraception. How about just using nothing at all and letting nature take its course? Or, about complete abstinence? But I understand that the point is to explain the differences between NFP and contraception, though the videos do not touch on the mentality behind the two or go into intention. Nevertheless, I'm glad the seminarians in my Diocese are doing things like this. The other morning, I came into work a the parish office and found a note in my box (addressed to me as Youth Director) from a family saying that the were unregistering from the parish, nothing more. This particular family is well known for not liking our pastor and most of them lead very irregular sacramental lives. But their children come often to Youth Group and I had a pretty good friendship with them, so I decided to contact one of them (now 18 and out of YG) and ask her what the reason was for this and whether or not her other siblings were still going to be allowed to participate in Youth Group. She told me that when I did a lesson on martyrs several months back, her younger brother had got nightmares from one of the martyrdom stories I had told. The father had gotten upset that I had shared the story with the group and wanted to pull his son from the Youth Group (none of this was shared with me, mind you. I just got a letter saying they were leaving the parish). The son did not want to leave the parish, or the Youth Group, and protested violently. His parents tried to get him to go to another Youth Group (one that hosts such things as Simpsons themed Bible studies). There ended up being a huge fight about it, and it is still not resolved. This is what I found interesting: the parents (as far as I know) do not regularly go to Church. The children do not have much supervision as far as what type of movies they are allowed to watch, or what typeof music they listen to. In fact, it seems to me that these kids pretty much listen to or watch whatever the heck they feel like. Have the parents complained about violent movies and attempted to curb the kids' viewing habits? Have they screened the lyrics to the music their kids listen to? I seriously doubt it. In these matters, things their kids engage in every single day of their lives, there seems to be little moderation. And yet, when I relate a story of one of the martyrs of the faith one single time, this is an occasion for anger because their son had "nightmares" (by the way, after a little prodding, I found that he did not in fact have nightmares and they were just exaggerating. He simply was "bothered" by the story). I wonder this: is it necessarily a bad thing for a person with an infrequent sacramental life to be "bothered" by one of the martyr stories? I felt "bothered" when I watched the Passion of the Christ. But what was the nature of this discomfort? Is it a bad discomfort? I would say that the discomfort we experience when seeing a bloody portrayal of the crucifixion or a particularly gruesome martyrdom account can be very beneficial. 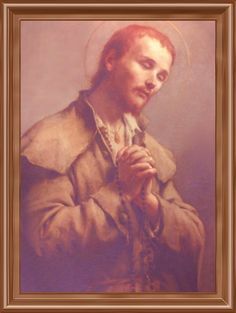 It brings to mind the heroic virtue of the saints who endured such things, and reproves us for our own cowardice when in our conscious we realize that we probably do not have the faith or intestinal fortitude to endure similar trials. I recall feeling this way when I first heard about St. Maximilian Kolbe's death. 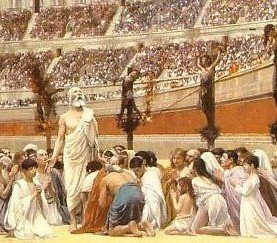 But the discomfort became a godly sorrow that led unto repentance and a further growth in piety, as St. Paul teaches. In the end, it was as I thought: the daughter later told me that the issue was simply a ploy for the parents to justify dropping out of this particular parish and joining another; as I said, they thoroughly disliked our pastor and had long since stopped coming to Mass at our parish. If they really were concerned about what their kids were exposed to, they'd be screening their TV watching and music, as I said above. I will pray for this family, and I hope to see this young boy again. On July 31st, Cardinal Kasper was invited to give a talk at the Anglican Lambeth Conference regarding issues surrounding the Anglican communion as it pertained to the ecumenical dialogue between Rome and Canterbury, especially in light of the recent fragmentation of the Anglican community over women's (non) ordination to the episcopate and acceptance of homosexuality. 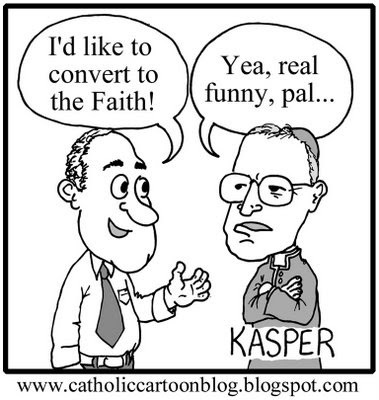 I think Cardinal Kasper is a mixed bag. He often (mostly) makes me want to jump up and down and pull my hair out while I read what he says, but other times he can be pretty insightful. His address at Lambeth is the same way. One the positive side, he has a very interesting observation about what it means to "be in communion." For many Christians, and modern Catholics, too, to be in communion tends to have a humanist-grounded perspective that unity means simple unity among people. We see this in the Catholic Church with all the social justice influenced prayers and songs about all people getting together in unity, overcoming barriers, tearing down walls, blah blah blah. In the ecumenical sense, too often unity is reduced to merely being in legal communion with the Bishop of Rome. Don't get me wrong, this aspect of unity is essential. As St. Cyprian said, Rome is the See "from which priestly unity takes its source." But being in legal communion with Rome does not exhaust the meaning of unity and falls short of the Scriptural meaning of unity (shalom), or the patristic notion. Cardinal Kasper points out to the Anglicans that an approach of "what is the lowest common denominator we can reach to get into visible communion" is not what Christ envisions when He speaks of the Church being one. Kasper means this in relation to the Anglican communion's shifting on issues of women's ordination and homosexual leadership in their church. I think it is a poignant observation: usually, we speak of communion with reference to persons, being in communion with the pope or the bishop. Kasper points out that all of the people who are in communion are in that state because of their common acceptance of the faith of the Church throughout the ages. In order to truly be in communion with any persons within the Church, we must be in communion with the historical faith of the Church. In all the efforts of the Anglican communion to hold its disintergrating mass together, perhaps they need to stop and ask why they are trying to hold themselves together and what is their principle of unity? "The Catholic Church finds herself bound by the will of Jesus Christ and does not feel free to establish a new tradition alien to the tradition of the Church of all ages." It's great to see that he is so zealous to uphold the tradition of all ages! Let's see him apply that principle to his talks with the Jews, and then I'll be happy. "It is our overwhelming desire that the Anglican Communion stays together, rooted in the historic faith which our dialogue and relations over four decades have led us to believe that we share to a large degree." The Anglican communion is "rooted in the historic faith"? Even if Anglicanism went back to its most "Catholic" form, that of the Caroline divines of the mid 1600's, it would still not be historic Christianity, most obviously because they have no Apostolic Succession (oh yeah, and all the heresy, the stuff about Purgatory being a "Romish fable" and all that). And why, when many other Catholic commentators are speculating that the divisions within Angicanism could lead to a widespread return of Anglicans to Rome, does Kasper say he wishes the communion to stay together? Probably so as not to offend them, which is of course the Prime Directive of modern ecumenism. I'd say that this is a wonderful, rare and unique moment within the relations between Rome and Canterbury. The Anglicans seem to be looking to Rome for leadership, and we ought not to throw this opportunity away. The depth of this crisis is seen in the puzzling question posed to Cardinal Kasper by Rowan Williams several months back: "What kind of Anglicanism do you want?" Imagine an Anglican clergyman asking a Catholic Cardinal what type of Anglicanism he wants to see! Anglicanism cannot come closer to Rome on its current path. With the ordination of women to the episcopate, as Kasper told them, "It now seems that full visible communion as the aim of our dialogue has receded further." The Anglican identity is torn at its very heart, and nobody, not even Dr. Williams, knows how it will (or should) re-emerge. Read the full text of Kasper's talk here. Well, I am back from a not so restful vacation. Why do I say not so restful? Well, let me show what I did. 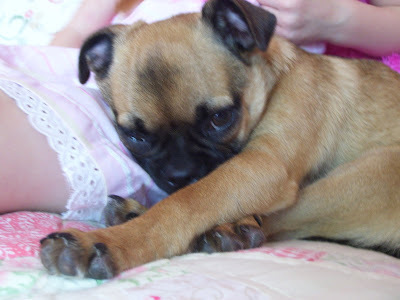 By the way, Duncan means "brown fighter" in Scots-Gaelic, though I know he doesn't look it. So, it was a busy week. But, now I'm back and ready to post, so I should have something up within the next day. Pax.